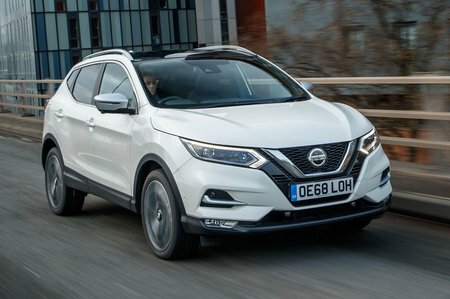 Nissan Qashqai 1.3 DiG-T 160 N-Connecta [Glass Roof/Exec] 5dr 2019 Review | What Car? What Car? will save you at least £1,676, but our approved dealers could save you even more. We can certainly see why you’d be tempted by N-Connecta, which adds privacy glass, bigger 18in wheels and keyless entry. You get more safety kit, too, including blind spot warning and a rear cross traffic alert, plus a 360-deg camera system.